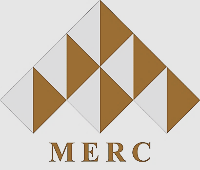 Walk-in Interview of Business Manager (Contract) in the Foundation for Innovation and Entrepreneurship Development. Three best paper awards will be presented at the colloquium. There is a registration fee of Rs. 2000. The registration fee covers colloquium kit, all meals during the colloquium, accommodation on single-occupancy basis (maximum three nights), one gala dinner, and a guided tour for the paper presenters. Presenters have to cover their travel expenses. Bank Address: SBI IIM Kashipur branch. Please name your submission document (only in pdf format) as Track_Submission_Name e.g. Marketing Management_Submission_Rahul. One extended abstract should be submitted only to one track. ii) Follow APA style referencing. iv)There must be no author identifying information in the extend abstract. v) All author details including affiliations and contact details must be clearly mentioned in the body of the email. Three best paper awards based on the criteria laid out by the panel of experts. The Indian Institute of Management Kashipur is set up in the state of Uttarakhand, with the objective of providing quality management education while sensitizing students towards the needs of the society. IIM Kashipur commenced operations from July 2011 and offers Post Graduate Programme in Management (PGPM), a two-year full time residential programme. The rigorous curriculum seeks to instill a passion for knowledge and ability to apply that knowledge to real life scenarios. The programme lays emphasis on all-round personality development and inculcates the values of leadership and integrity. The institute also offers an executive Post Graduate Programme, full-time residential Doctoral Programme and an executive Doctoral Programme. The institute is located in one of the unmatched locations. With the mighty Himalayan foothills in the background presenting a scenic view of snow-clad peaks in winters, Jim Corbett National Park and Nainital a drive away, it offers a plethora of unexplored getaways making it anyone’s dream institute. Located at about 220 km to the east of Delhi, Kashipur is connected to major cities by road and rail. The institute is well-linked by road which connects all the major cities like Moradabad, Bareilly, Lucknow and Delhi by wide rail network. The nearest airport at Pantnagar offers daily flights from Delhi and is located 72 km from Kashipur. From Delhi, NH-24 leads to Moradabad after which a 50 km stretch directs to Kashipur. 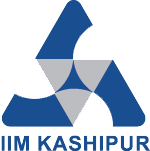 IIM Kashipur is located in Kundeshwari, about 7 km from the railway station. Major Hotels around IIM Kashipur are Anand Castle, Gautami Heights, The Manor, Ananya, etc.